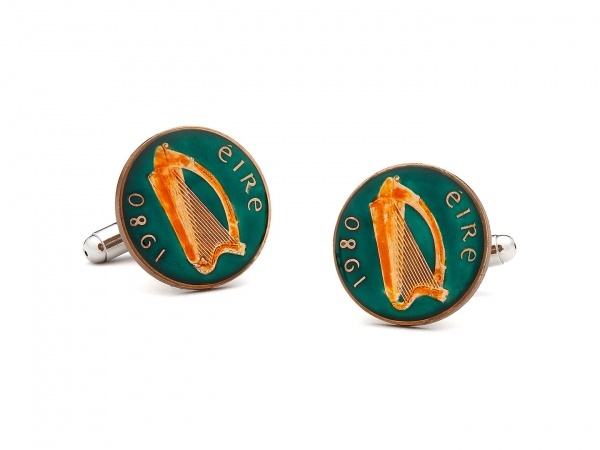 Be proud of your heritage, and show off that pride with these Irish Eire cufflinks from Penny Black 40. A simple pair of rhodium cufflinks, the faces feature pennies from the Republic of Ireland, showing the classic Irish harp, painted in gold on a field of green. Available online now. This entry was posted in Accessories, Cufflinks and tagged Black, Eire, Irish Eire, Penny Black. Bookmark the permalink.